Okey~, when I saw this anime in my recommendations, I was like umm~ okeyy, seems like another BL anime, but when I was checking the rating, I thought: hmm ^^, not bad, so I watched the first episode, and I was like: omg, this is the best anime :O. Then I started to watch Banana Fish and I couldn't stop :D The story is just awesome, full of surprises and emotions. Some characters are hard to don't like, but some characters are the worst on the planet and I wish then the most painfull death. And when I watched the last episode, I literally cried all night :(. 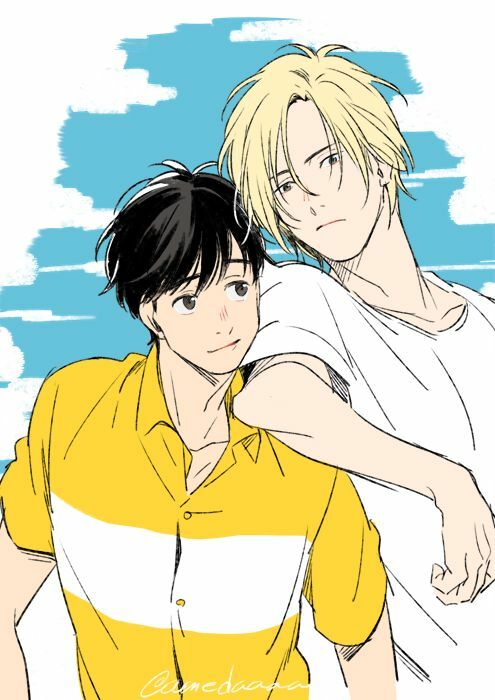 And it's shame Banana Fish isn't known as much as Tokyo Ghoul or Naruto, because Banana Fish deserves a lot more attention.